Last week on the The Sarcastic Muse I announced the release of the Somewhere in the Middle of Eternity anthology coming this April. 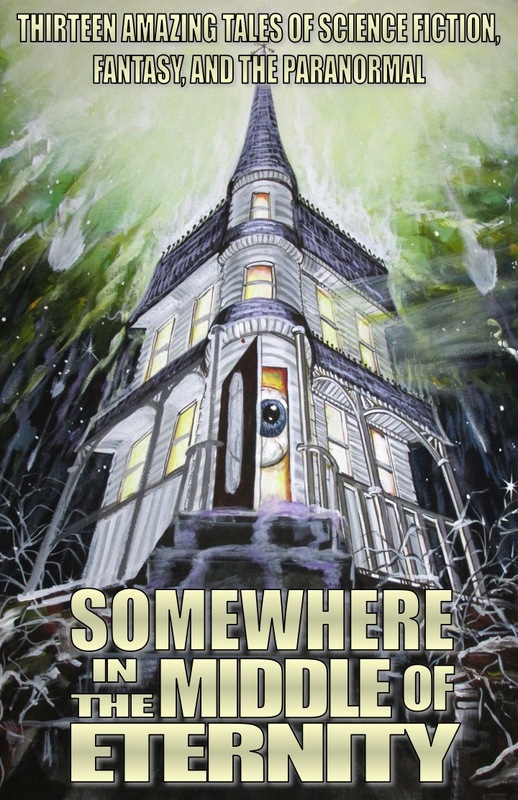 This week I am sharing a rather personal blog post about my Earth-shattering experience in writing my first published short story, Parallax, which will appear in the Somewhere in the Middle of Eternity anthology. To all my avid horror followers out there, I have finally gotten my schedule ironed out and will be back to weekly postings on this site. Regular postings will occur on Mondays or Tuesdays. I am also going to try to add media postings on Fridays. As always, if there is anything you want to hear or learn about in the realm of horror/dark fiction literature, I am always up for new ideas for future posts. Hi, Amanda. 🙂 So happy for you and for Parallax! Thank you for the opportunity! I am excited!